Tennessee, like other states, has strict boating laws that are designed to prevent accidents, but some boaters either don’t know what they are or don’t care. There is a tendency for some boat operators to think that they are free from the sorts of rules that are in force on the roads. They are not. Tennessee doesn’t have as many boats as it does cars and trucks and the lakes and rivers in the state are certainly not as crowded as the average highway, but this doesn’t prevent accidents from happening. A boating accident caused by a negligent boat operator can be just as tragic as a vehicle accident on a Tennessee highway. boating under the influence (BUI) next most common reason for a collision. 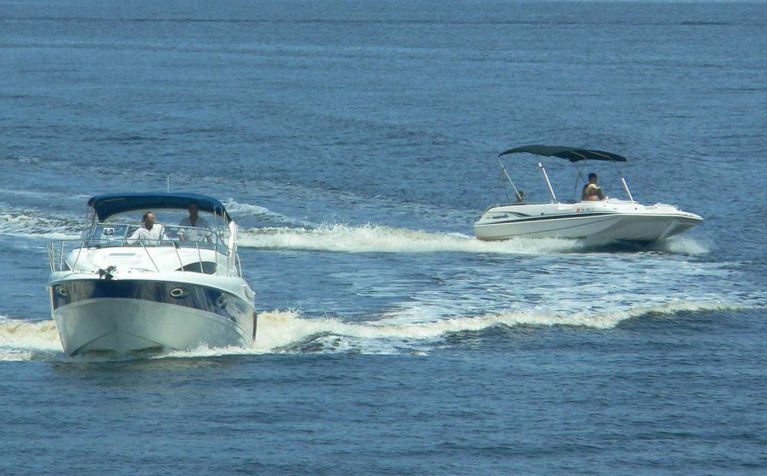 Because a quarter of all boating on Tennessee lakes and rivers are by people renting or borrowing a boat there is a lot of ignorance about safe boating and Tennessee’s boating rules. Unlike driving a vehicle on public roads there is no state requirement for a boating license which means that boating can attract just about anyone who has enough money to buy or rent a boat and time to take it out on the water. Boating accidents can be worse than road accidents. Two motor boats colliding at speed or a jet ski colliding with another boat or a swimmer can easily become a tragic incident. Not everyone who goes out on a boat knows how to swim and many accidents happen in remote locations where there is no easy access. There may not be cell phone reception which makes rescues slower. Boating accidents can easily lead to drowning. Lakes may be safer than the sea, but they can be cold and anyone who is thrown into the water as a result of a collision can easily suffer from hyperthermia quite quickly or drown because they have been knocked unconscious. If boaters are involved in an accident, similar rules to road accidents are in force. The boat operator must stop immediately if at the scene of a boating accident if someone has been injured to a degree that requires more than first aid or if there has been a fatality. The boat operator should render assistance if at all possible. Stopping to assist should only be an option if there is no danger to the boat itself or any of its passengers. Boat operators should notify the TWRA of the accident as soon as possible. An accident report form should be submitted to the TWRA within 48 hours if there has been a serious accident or fatality. The accident form should be submitted within 10 days if there has been property damage amounting to $2,000 or more. Not submitting a form after a reportable accident is a criminal offense. If you are involved in a boating accident and believe that the accident was caused by a negligent boat owner or operator you should contact an accident attorney at the Keith Williams Law Group in Nashville. Ring 866-820-4457 for an appointment.